I run towards the finish line on a late-August afternoon, my loft-strand crutch landing in front of me. This is how I spend most of my afternoons during the summer–running 100 meter sprints at a local track. I remember this day because after I complete my fourth sprint, a woman stops me to tell me how “inspiring” it is that I am running the track. As a seventeen year old with cerebral palsy, this is not the first time someone called me “inspiring,” but when I was younger, it did not bother me as much as it does now because I never fully understood the implication behind that word. An inspiration is someone or something that motivates or benefits others, and what most people do not seem to understand is that I run because I love it, I do not run to please other people, and I do not run so that my face can be plastered on one of those “What’s your excuse” memes, so that people can pity me; I run because, like most athletes I love it, and when I am sick, injured, or for any reason cannot get to the track, I feel stressed because running is how I release energy and as cliché as it sounds, it is my passion. 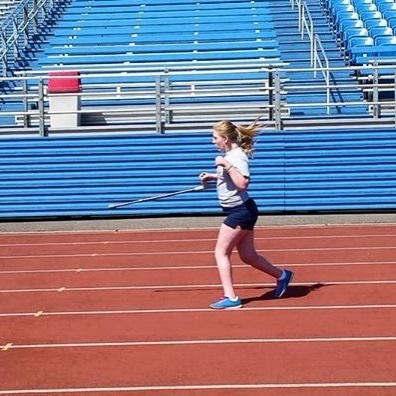 I should not be labeled as inspiring because I run and have cerebral palsy–I am just a person. I do not want to be the “spastic” runner, I just want to run. I consider the word “inspiration” to be incorrectly used because I do not do anything that other runners do not do, and yet no one calls them “inspirational.” I fall down sometimes, yes, but rather than trying to “overcome an obstacle” or prove that I can do it, I get up again because I realize that the feeling I get from running outweighs the regret of giving up. Treating me like I am some “hero” not only puts me on a pedestal, but also implies that I am not a “real” runner because I have never seen anyone tell an average able-bodied runner that he is “inspirational” or “amazing,” unless that runner breaks a record. I did not break any records or do anything that may deserve admiration, so people are judging me based upon my disability. Whats inspiring about you is your writing!